POMFRET – Mary E. Miller, of Pomfret and formerly of Moosup, died Sunday, November 18, 2018 at home. She was born in Lock Haven, PA on November 4, 1925, daughter of the late Richard Yost Sr. and Lydia (Coleman) Yost. Mary was the wife of the late Robert R. Miller Jr. who died in 2007. She worked for twenty years at the former Plainfield Dog Track. 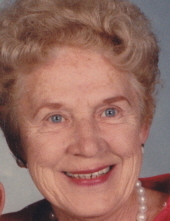 Mary was a life member of the Ladies Auxiliary Plainfield VFW #5446 and a member of The Moosup United Methodist Church. Her life revolved around her grandchildren. She was mom to her children but “Muggie” to her grandchildren. Mary is survived by her children, David Miller and wife Marsha of Thompson, Raymond Miller and Mary Bissonnette of Plainfield, Cheryl Millette and husband Ronald of Pomfret and Cindy Miller and Daniel Litke of Brooklyn, ten grandchildren, twenty great grandchildren, one great great granddaughter and very dear friend Tiny Fontaine of Sterling. She was predeceased by one sister and three brothers. To send flowers or a remembrance gift to the family of Mary E. Miller, please visit our Tribute Store. "Email Address" would like to share the life celebration of Mary E. Miller. Click on the "link" to go to share a favorite memory or leave a condolence message for the family.